Are you in the market for a new home in the West Atlanta Area? Many people of familiar with the FHA loan that requires a minimum of 3.5% down but did you know what your loan options are? Depending on the location of the home you find and want to purchase, you may want to check out the USDA Home Loan program. Why USDA? Yes, the same folks that stamp your meat at the grocery store has a divison that loans funds for rural development such as home purchases to name one. The catch is that is the home must be in the specified area to be eligible and there are income limits that you can't go over. So what are the benefits to the USDA home loan program? Here it is in a nutshell. You can go through a traditionl lender that participates with the USDA home loan program. No Down Payment required, so 100% financing. The is a Guarantee fee that can be put into the loan. It is a 30 year loan product with competitive interest rates. The typical ratios are 29% for home loan and 41% for overall debts. Typical closing costs can be rolled into the loan if borrower likes. Borrower to apply with participating lender of their choice. Loan program is not just for first time buyers. These bank owned home are moving fast with first time home buyers and investors a like trying to get in these great deals. With the pace of foreclosure slowing down a but from a couple of years ago, prospective buyers are waiting to pounce on the right property. Here below you will find the 5 lastest foreclosures to hit the mls. Feel free to sign up and save your searches and get properties emailed to you as soon as they are listed. As the first quarter of 2103 comes to a close, I will show you some real stats on what HUD and other similar homes are selling for on the market. Many bidders beleive they can come in a swoop up one of these at a huge discount. A couple of years back that may have been the case. We were seeing some nice discounts given expecially for homes that sat on the market for a while. Times have changed in the last year with the shortage of housing inventory. So what should you bid on a one of these types of homes? Sure they offer a lot of incentives to purchase but what I am seeing out there now is that these homes are going over bid price and sometimes a lot more over. Below you will find listing data pulled from the local Georgia MLS of government owned homes from first quarter 2013. You can see that most of the homes sold at list price or above. Keep this in mind when preparing your bid. 1. Don't get emotional and just bid to bid, really want that home. 2. Discuss if you are willing to go over the list price with your realtor. 3. Check with your lender to make sure you qualify for the amount of the purchase before bidding. 4. Check with your lender on how much closing costs will be covered and if you will have to make up any difference. 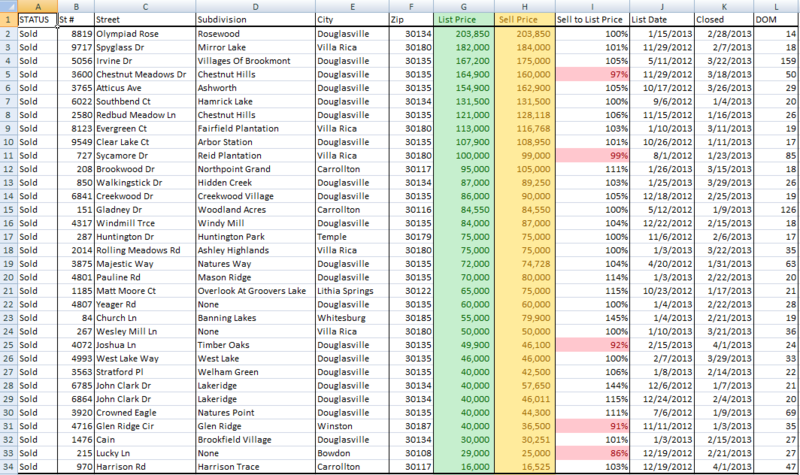 The spreadsheet below shows actual sold properties and their list and their sold price. Compare if they sale over list or below. Hi, I work with buyers and sellers in the West Atlanta area. 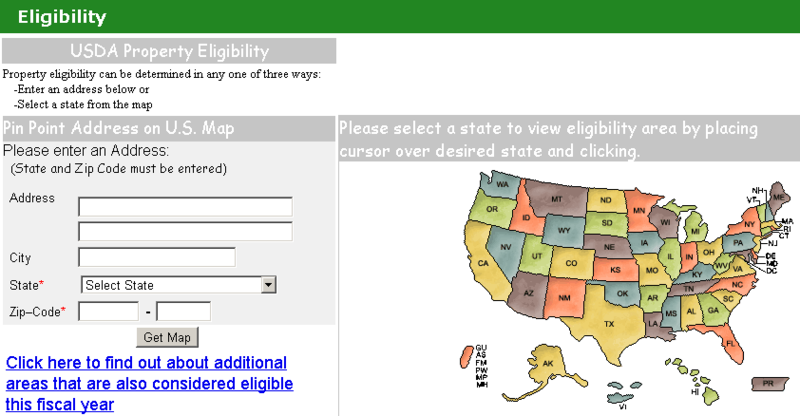 I can show and place your bid on any HUD property listed at Hudhomestore.com.